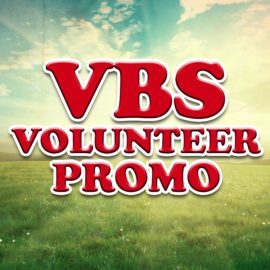 Find Vacation Bible School resources to help promote your event, recruit volunteers, or content for the week of your VBS. 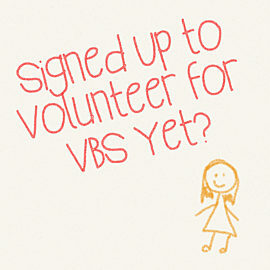 Finding volunteers for VBS is never easy. 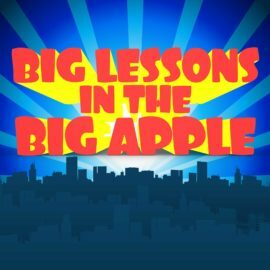 This video is a hilarious way to let your church know that the kids need adults to step up and make a difference by simply volunteering for Vacation Bible School. Do it for the sweet, sad children. Let Tommy and Eddie invite the kids in your church to Vacation Bible School...we F.I.N.K you'll love it. Suitable for any church's VBS offerings. V.B.S. is coming to churches all across the world. V.B.S can be a serious issue...please two minutes and do what you can. Remember to make sure your kids are involved this summer! Year after year, Mamaw volunteers for VBS. Don’t let Mamaw serve the kids punch and animal crackers alone. Find her some help. 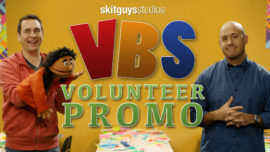 Let Tommy and Eddie put out the call for VBS volunteers at your church. 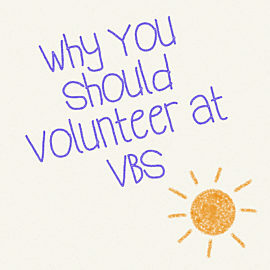 In an attempt to show people how easy volunteering for V.B.S. can be, Tommy goes a bit overboard...though, his method acting Moses puppet might just win an award. But, just like Eddie says, volunteering for V.B.S. isn’t that hard and can make an eternal impact in kids lives. 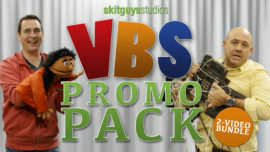 Grab this fun two video pack to promote V.B.S. in your church or community. 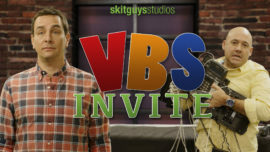 One is an invite to get your church excited about V.B.S. and the others is a promo to recruit volunteers. Year after year, Memaw volunteers for VBS. Don't let Memaw serve the kids punch and animal crackers alone. Find her some help with this script and recruit some volunteers for VBS. 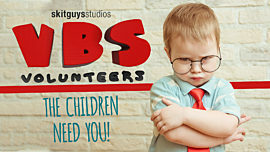 Promote the opportunity for volunteers to serve at VBS with this funny skit. It'll have people laughing while listing off the ways people can serve. This fun script helps you recruit volunteers for VBS or church camp, listing all the reasons that someone would benefit from helping. 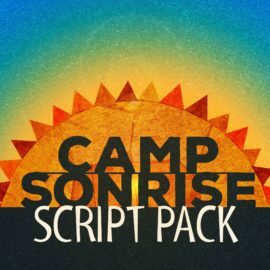 Join the kids at Camp Sonrise in a series of adventures and lessons in this 5 script series for your VBS or Children's Camp. Includes stories and themes of Joseph the dreamer, God's provision, Jesus' birth, Parable of the Lost Sheep, and mission and purpose. Woven together, these skits help present the gospel through fun storytelling. This pack includes 5 scripts and artwork. 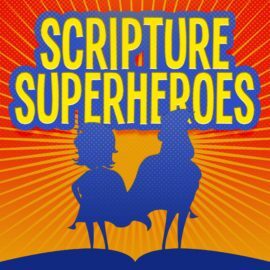 Scripture Superheroes is a series of 6 dramas that was designed for a VBS style camp setting with 1 skit being performed per day, Monday to Friday, and a final performance on Sunday in "Big Church" service as a culmination of the week's festivities. They are written with an explicit intent to teach the Biblical story in a fun and engaging but truth-filled way. This collection includes the stories of: Esther, Saul/Paul, Daniel, David, Moses and some Senior Citizens. This collection also includes small group curriculum for each of the 5 character scripts. The guides are designed to be used with children pre-k through grade school but can be used for adolescents as well. How cool would it be if your grandmother owned a hotel in New York City? Casey, Jack, Samantha and Ben are just that fortunate and get to visit Grandma Ethel and Grandma Agnes in the busy Big Apple! They are in for some fun and adventure and also learn some valuable lessons about love, trust and helping others. This collection includes 3 scripts, and 3 videos (with and without narration) that support the script program. Great for a 3 day VBS or Childrens Camp. Gracie is a young and talented athlete competing in this year’s “G-Games”. She has a devoted supporter and teammate in her heaven sent helper, Angelica, but a staunch nemesis in her opponent, Beezle. 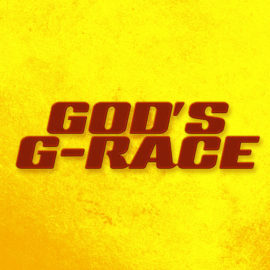 Will Gracie be able to win the coveted G-Race title or are the challenges she faces just too great? 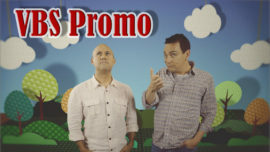 Join our G-Games competitors and crazy cast of characters as they illustrate some favorite Bible stories and seek to prove that Grace always wins! Does your VBS program need an extra volt of adventure and excitement? 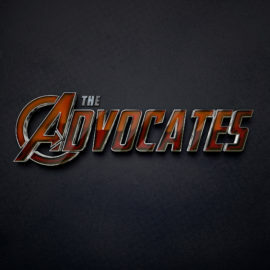 Then plug into this new VBS skit pack, THE ADVOCATES. Designed to portray the electrifying power of the Holy Spirit as he works in our lives, these avenger-themed scripts will encourage students to plug in and power up! Click on the preview for more. This script pack comes with slides! How do tomatoes and peppers and flowers learn how to grow? They attend Vine University of course! Great for Sunday school or VBS programs, these scripts creatively teach John 15’s theme of abiding in Christ. 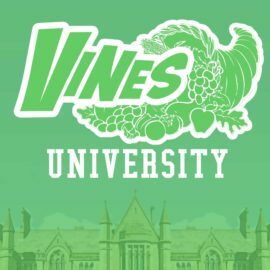 These scripts follow four college students as they navigate their freshman year at VU and learn how to grow as healthy vines.